Huay Tung Tao is a fresh water reservoir at the foot of Doi Suthep mountain, just a few kilometers north-west of the Chiang Mai city center. Why Huay Tung Tao Lake is special ? Huay Tung Thao Lake is also a wonderful place first thing in the morning for avid birdwatchers. 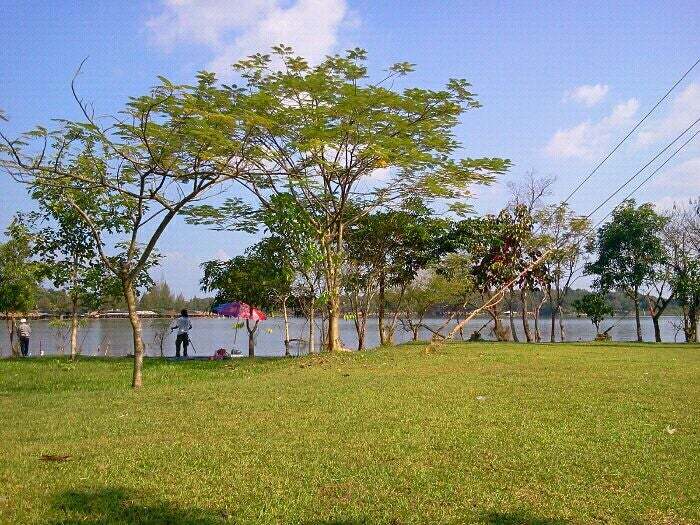 It is really gorgeous and calming lake adored by all the tourists visiting Thailand. You can sit back and relax in a floating bamboo raft with thatched roof around the lake edge. You can cheerfully swim about in the lake and run around the lake and have boundless fun and frolic. If you are an enthusiastic bird watcher you can view some of the exceptional and beautiful migrated birds while you relax along the banks of the lake. 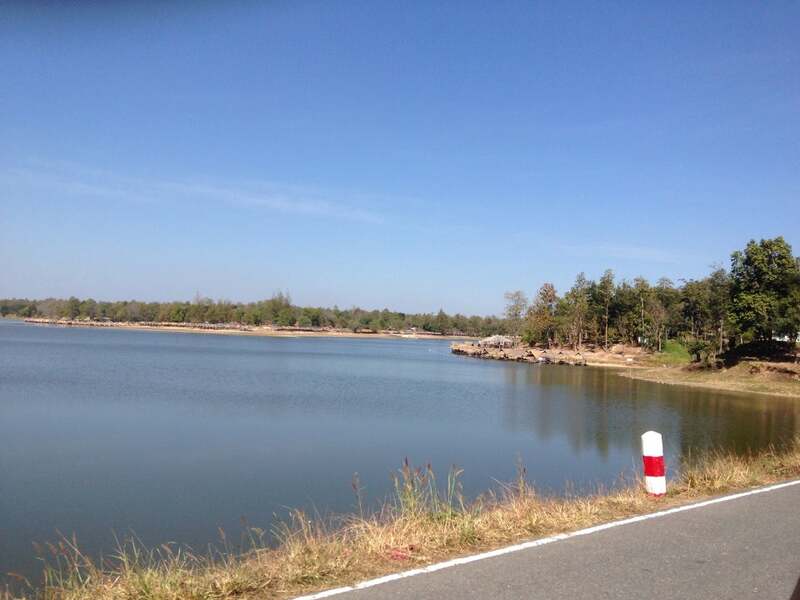 For 20 Baht entrance fee you can take a dip in the lake at Huay Tung Tao. 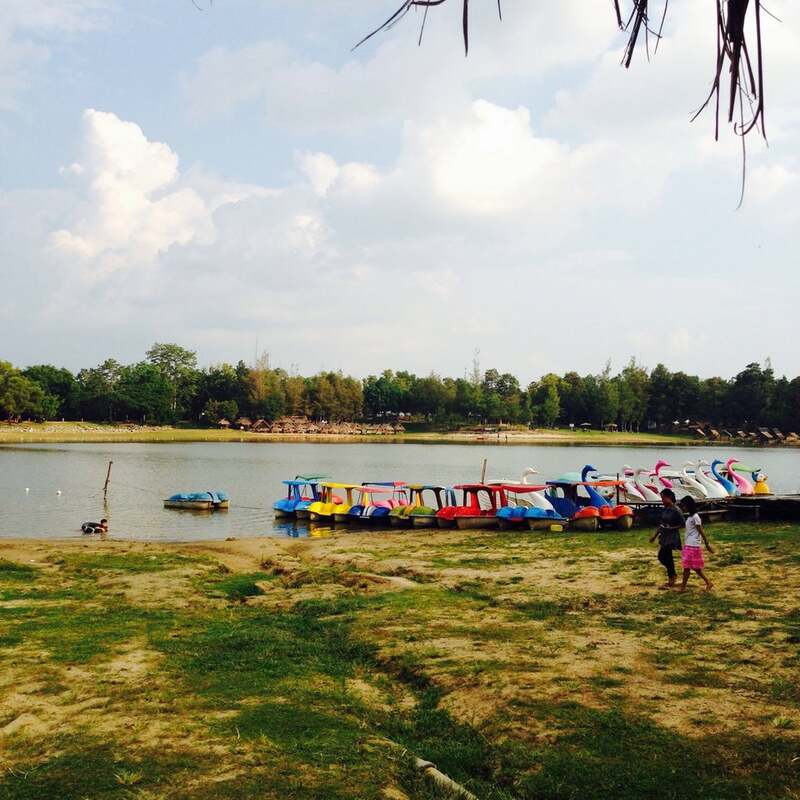 What to explore at Huay Tung Tao Lake? 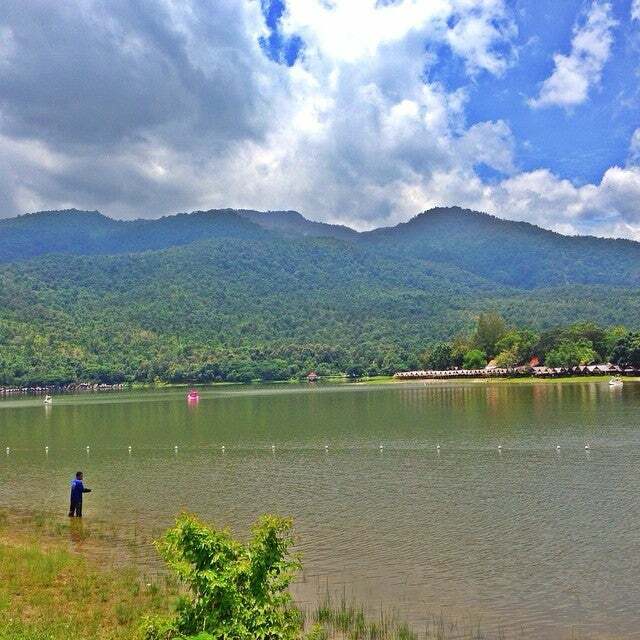 The view at Huay Tung Tao Lake is stunning. The still waters are backed by nearby mountains and the lake is lined with picturesque grass huts. There are even some quirky swan-shaped paddle boats for rent if you want to take a tour of the lake. It’s also the starting point for an interesting hike of about 7 kilometers, which will take you to the Dtaat Mook waterfall and to a helipad with breathtaking views over the lake and beyond. How to get to Huay Tung Tao Lake? The lake is about 12 kilometres from the city center and takes 15 - 20 minutes by tuk-tuk/taxi. Expect to pay around 400 baht for a red songthaew to take you to here and pick you up at a pre-arranged time. There's plenty of people swimming so should be good. You can bring your extra clothes if you want to try. Bring your camera. They have zip lines across the lake, look quite spectacular. The paved road around the lake offers a shady route for people to walk or ride their bikes. You can enjoy food in the little huts made of bamboo and wild grasses, complete with shade and a cool cross breeze over the lake. Huay Tung Tao Lake is popular place on weekends, so visiting on weekdays or arriving early is your best bet for securing a table. There are about twenty restaurants surrounding the lake that serve food and drinks in a picnic-like setting. Ride your bicycle there. Canal road has bike lanes after the 700 years stadium. Beautiful scenery all around you!